This is a bootleg which I've just happened to stumble across the other day. 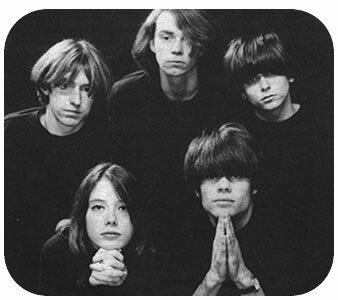 It's basically a collection of demo's from the mighty Slowdive which were recorded in 1995, the same year as they released their final album "Pygmalion". Although personally I prefere the earlier Slowdive material circa "Catch The Breeze" etc this is a fine record. At the time I wasn't entirely convinced about Pygmalion but these demos prove beyond all reasonable doubt that although perhaps past the peak of their powers Slowdive were still a band to be reckoned with in 1994. Hmm, it seems not to work. I would love to hear these, but I only get an 8k file. oh, I just noticed it's on frikin rapidshare. well, they cut me off for the month so I guess I have to wait. I really hate the extortion profit model of those guys. They seem to have a different definition of the word free than the rest of the world. Ok Ok calm down. I'll upload the files to the server later today so it should be fine in a few hours. . . . . . . . . . . . . . . . . . . . . . . . . . . . . . . . . . . . . . . . . . . . . . . . . . . . . . . . . . . . . . . . . . . . . . . . . . . . . . . . . . . . . . . . . . . . . H e l l o . . . N i c e . . . B l o g . . . P U S H . . . . . . . . . . . . . . . . . . . . . . . . . . . . . . . . . . . . . . . . . . . . . . . . . . . . . . . . . . . . . . . . . . . . . . . . . . . . . . . . . . . . . . . . . . . . . . . . . . . . . . . . . . . . . . . . . . . .